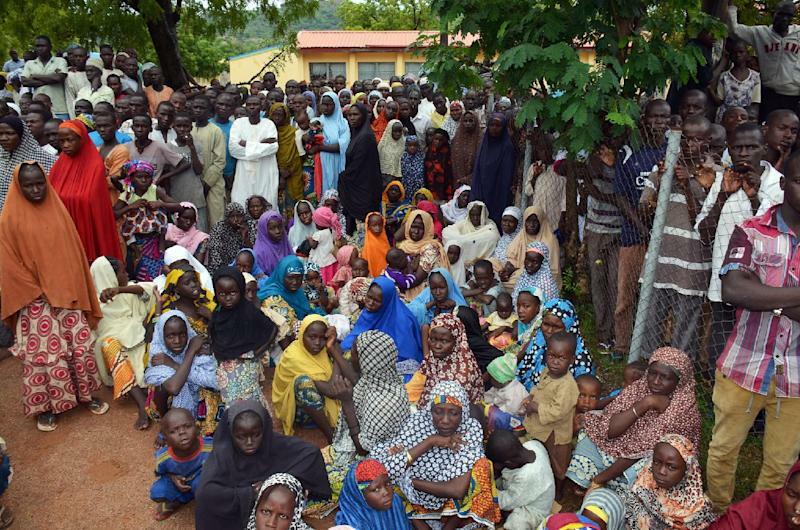 Kano (Nigeria) (AFP) - Thousands of fear-stricken residents in several towns and villages in Nigeria's northeast Adamawa state have fled their homes after troops failed to retake a major town seized by Boko Haram militants, residents said Saturday. Residents of Madagali, Gulak and Michika towns and nearby villages fled their homes Friday through Saturday following a Boko Haram advance after repelling a military offensive to retake Madagali town, seized by the militants last month. "All the residents of Madagali, Gulak and Michika have fled their homes to the mountains and Mubi town after soldiers retreated from Madagali where they made a failed attempt to push out the insurgents and the recapture the town," said Bello Alaramma who also ran away from Gulak to Mubi, 76 kilometres (48 miles) away. "Around 5:00pm (1600GMT) yesterday (Friday) we started seeing hordes of soldiers in vans, trucks and armoured cars driving through Gulak firing shots in the air and soon afterwards people from Madagali started trooping in telling us Boko Haram were on their way," Daniel said. Residents of Mubi, 200 kilometres (125 miles) from the state capital, Yola, said the town was "flooded" with people from Michika, Gulak and Madagali. "The influx is causing apprehension among people in Mubi who fear the influx would attract Boko Haram who have attacked Mubi before," he said. Mubi, the commercial hub of the state, has seen several attacks blamed on Boko Haram. In October 2012 at least 40 students of a polytechnic college in the town were shot dead in attacks on student hostels. Both attacks were blamed on Boko Haram, the sect whose heightened deadly attacks in the past weeks have won for them seizure of some key towns in Borno, including Gwoza and Bama, as well as Buni Yadi in neighbouring Yobe state.